Annie Mac is a name that ought to be synonymous with the saying “everything she touches turns to gold,” as she’s ruled the radio, she’s ruled the decks, and has won the hearts of music lovers across the globe. 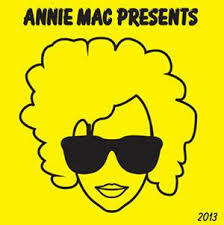 It is no question, she’s Radio 1’s Queen of dance music and is now bringing her latest project Annie Mac Presents 2013 to North America set for release on October 15th via the celebrated label Astralwerks. The 18-track digital album will include music from the biggest in dance music at the moment, including everyone from Disclosure to Jesse Ware to Breach. Every Friday night over 1 million listeners tune into BBC Radio 1 to hear what Annie says is hot right now and with the digital compilation we can expect an eclectic mix of established and emerging artists, as well as all of the music she has playing out at clubs, parties and festivals over the past year. The compilation will also feature the unreleased track "My Love" from emerging UK producer Route 94. 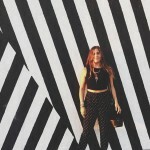 While the official release is only a few weeks away you can enjoy the mini mix she has provided for us in the meantime! Check out the entire tracklist below.